Step into a haven of healing at the Timeless Spa. We provide a refuge for travellers to relax and rejuvenate themselves during transit. Our signature blend of beauty treatments, spa products and therapies will leave you feeling refreshed and ready for your upcoming journey. The Timeless Spa is open 24 hours a day, 7 days a week. To make the most of your experience, arrive 30 minutes prior to your scheduled appointment. This gives you ample time to check in, get ready and make the most of your treatment time. In the unlikely event that you’re running late, we will endeavor to conduct your full treatment. However, please note that the treatment may be shortened if there is another appointment immediately afterwards. Upon your arrival at the Timeless Spa, our receptionist will confirm your spa treatment request. We will then assign your personal spa therapist. He/she will conduct a brief consultation before planning your spa regime to ensure that you get the treatment suitable for you. Please inform us if you have any health concerns so that our spa therapist can address your special requirements. For spa treatments, spa wear including comfortable disposable underwear, robe, slippers etc. are provided. Your privacy is protected at all times. We will provide you with a changing room where you can change in private, and throughout the treatment you will be draped with towels to cover untreated areas. Guests who have high blood pressure, heart conditions, or any other medical complications are advised to consult their doctor before signing up for any spa service. Pregnant guests are allowed to have only facial treatments, and total hand and foot treatments. Health experts recommend only one heat treatment per day. Following any heat treatment, you must rest and avoid any vigorous activity for at least one hour. Before undergoing a heat treatment, be sure to drink lots of water and allow for an interval of at least one hour after a meal. We strongly recommend a shave prior to a facial for maximum comfort. It will be beneficial for the skin during treatment. Reservations are on a first-come first serve basis. 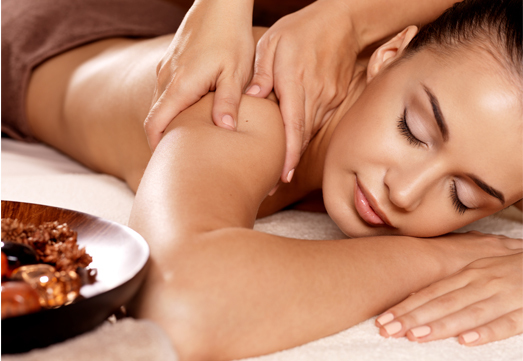 To guarantee a spa treatment, reservation should be made at least 8 hours in advance. We suggest that you book a treatment at least 30 minutes after you land to allow for delays and walking time. It is recommended that guests book in advance for a preferred time and treatment. Consumption of cigarettes and alcohol is strictly forbidden in any spa environment. Alcohol consumption is not advised before any spa treatment or service. To ensure that everyone enjoys a peaceful atmosphere within the spa, we request all guests to keep noise level to a minimum and refrain from carrying mobile phones and other electronic devices. Children under 16 years are not allowed for treatment in the spa. Timeless Spa does not accept responsibility for any lost or stolen items. It is recommended that you remove all your valuables before commencing the treatment. Please allow 48 hours to cancel or reschedule your appointments. Reservations cancelled within 48 hours will not be charged. However, cancellation within six (06) hours will incur a 40% charge and no shows will be charged in full.